Interset™ high-performance cavity wall fixings, which may be installed using the supplied pan head screws or with fixing tool stock no. 528-362. 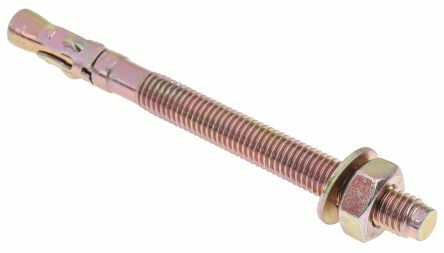 The Throughbolt is a torque controlled anchor suitable for use in concrete over C20/25. Throughbolts made of carbon steelZinc plated and yellow passivated min 5μm. Pan head nylon & zinc plated steel self-drilling anchors for plasterboard.